Great looking CPA websites with free domain & hosting with guaranteed revenue. 100% done for you - no work needed! is there a skype id where i can discuss further? If you email post@optiux.com we will provide further and more personal contact details. Get 10% discount by using the code: wf at checkout! Is the revenue all profit? 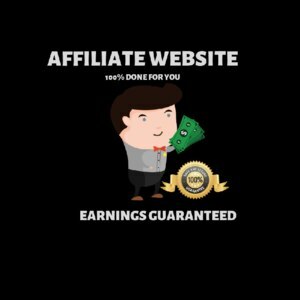 If I get a site from you and invest in the basic marketing package of $40.00 is the entire $50.00 profit or is $10.00 profit? That means $50 revenue and $10 profit guaranteed. What is the CPA network you are working with? I have already had Peerfly. And what kinds of offers are you going to run? The network we choose depends a bit on what type of site and niche you want. We prefer to work within the Internet Marketing niche, as thats where our marketing resources are most effective, so we will also look for IM related offers. Sure thing. I have PM'd you the details.